Maurice Robinson & Associates, under the guidance of Mr. Robinson, who is an expert in the field of hotel and resort consulting, has been providing litigation support services, strategic advisory services, hotel development consulting, market feasibility studies, and appraising hotels and other hospitality-related real estate for thirty years. His expertise includes dispute resolution, expert witness testimony and advising clients on development planning, deal structuring and financial issues related to hotel and resort development and investment. Maurice Robinson & Associates's accomplishments include providing property valuation, market demand assessment, due diligence, market repositioning, investment analysis and other acquisition and development advisory services to hundreds of clients nationwide. He has also been involved in resolving disputes, structuring ground leases, loans and other agreements, and working out troubled hotel and resort assets. Experienced Chair of numerous arbitration panels, trained mediator and Chair of Issue Review Board for Real Estate assets. He provides effective expert testimony, property appraisal, damage estimation, and litigation consulting in dozens of legal disputes. Guides landowners through processes of RFP writing, distribution and response evaluation, developer and operator identification and selection, deal structuring and other agreement negotiations. Envisions highest and best use of public lands, solicits private development and financial contributions, and structures ground leases and Disposition & Development Agreements. Evaluates non-performing real estate loans, prepares projections of future cash flow, negotiates with borrowers and lenders, and restructures loans and partnership agreements. Has appraised billions of dollars worth of real estate and conducted dozens of market feasibility studies for proposed projects. Maurice Robinson & Associates LLC provides effective expert testimony, property appraisal, damage estimation, and litigation consulting for disputes involving real estate, especially hotels, timeshares, golf courses, resorts, casinos, spas, theme parks and national parks. Mr. Robinson has extensive trial experience, having testified as an expert witness on 50 occasions, in venues including jury trials in California, Texas and Florida, AAA- and JAMS-sponsored arbitration panels, Federal Bankruptcy Courts in California, Arizona and Utah, and mediations. His valuation qualifications and expertise have resulted in many unique assignments. Mr. Robinson has provided assistance to hotel owners, investors, lessors and lenders in the areas of negotiating management contracts, development agreements, franchise agreements, ground leases, loan documents, financing arrangements and partnership agreements. Mr. Robinson is President of Maurice Robinson & Associates LLC, providing advisory services to lenders, investors, public agencies and developers in the Hospitality and Real Estate industries. Prior to founding Maurice Robinson & Associates LLC, Mr. Robinson was a Principal with KPMG Peat Marwick LLP, leading their western region Hospitality and Real Estate consulting practice for nearly twelve years. Prior to KPMG, Mr. Robinson was a Manager in the real estate and hospitality consulting practice of Pannell Kerr Forster (now PKF Consulting) for five years. His previous work experience also includes three years as senior economist with the real estate consulting firm of Williams-Kuebelbeck & Associates and a year as an independent consultant. Mr. Robinson has extensive trial experience, having testified as an expert witness on over 50 occasions, in venues including jury trials, AAA- and JAMS-sponsored arbitration panels, Federal Bankruptcy Courts in California, Arizona and Utah, and mediations. 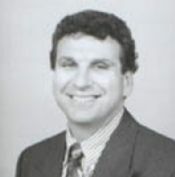 His valuation qualifications and expertise have resulted in many unique assignments, such as one involving appraising the Grand Canyon, for which he was awarded the coveted James Felt Creative Counseling Award. His case load as an expert witness in the past few years includes numerous State and Superior Court cases, arbitrations, bankruptcy court cases and mediations, involving over $3 billion of visitor-serving assets, including more than 130 hotels. Mr. Robinson is a member of the International Society of Hospitality Consultants (ISHC), where he served for 9 years on the Board of Directors and as Chairman of the Professional Conduct Committee. Other professional memberships include the Counselors of Real Estate (CRE), the American Society of Appraisers (ASA), the Forensic Expert Witness Association (FEWA) and the FINRA Dispute Resolution's Board of Arbitrators. Mr. Robinson was awarded the prestigious James Felt Creative Counselor Award by his peers in the Counselors of Real Estate for his groundbreaking work appraising the land and buildings at the Grand Canyon National Park. He is also the 2005 recipient of the Chuck Pinkowski Member of the Year Award by the International Society of Hospitality Consultants, for establishing an ADR training program for hospitality industry experts. Mr. Robinson has completed the 24-hour Commercial Arbitration training with the Institute of Conflict Management (ICM), and two training courses in Arbitration procedures from the NASD Regulation's Board of Arbitrators, including training and experience as the chairperson of a panel. He has also completed 30 hours of Basic Mediation training from the L.A. County Bar Association's Dispute Resolution Services, a 24-hour Mediation training from ICM, and has been a mediator of numerous hospitality and real estate related disputes. Additionally, he has taken 24 hours of Issue Review Board training with ICM, and chaired an IRB for a full-service hotel in California for several years. Mr. Robinson is the author or co-author of numerous articles, including "How to Value Commercial Improvements in a National Park", "The Next Wave of Alternative Dispute Resolution for the Hospitality Industry", and "Mega-Resort Development Surges in Race to Meet New Demands of Business Travelers". He also co-authored the "Alternative Dispute Resolution in the Hospitality Industry" chapter of the 2006 Hotel Investments – Issues & Perspectives book for the AH&LA, and the "Sustainable Development: Converting Existing Historic Buildings into Hotels" chapter of Hotel Sustainable Development, Principles & Best Practices book for the AH&LA in 2012. Mr. Robinson also holds a Master of Public Administration degree in municipal finance from the University of Southern California, a Bachelor of Arts degree in economics from Macalester College in St. Paul, Minnesota, a certificate of environmental management from the Environmental Management Institute in Los Angeles, and a professional designation in financial planning from the University of California, Los Angeles.